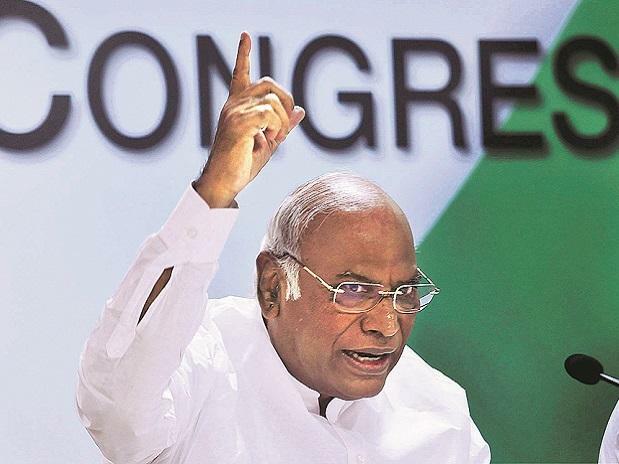 The Congress-JD(S) government in Karnataka is "stable and strong" and will continue to be so, Congress leader Mallikarjun Kharge said Wednesday, and asserted that any attempt by the BJP to destabilise it by poaching legislators would not succeed. He claimed that there was no crisis in the Karnataka government. All the 118 MLAs of JD(S) and Congress "are intact and no one is running away," Kharge said. He alleged that the BJP was trying to repeat what it did in Goa, Manipur, Uttarakhand and Arunachal Pradesh earlier by "spreading lies and rumours" about Congress MLAs leaving the party. "The Congress-JD(S) government in Karnataka is stable and strong and will continue to be so. There is no threat to our government in the state," he told reporters. The Congress legislators would be meeting on Friday, January 18 at the meeting of the Congress legislature party and so will the JDS MLAs and will show their strength that they stand united, Kharge said. He alleged the BJP was trying "to spread falsehood and canards that the Congress MLAs were moving away and were joining the BJP, but they will never be successful in doing so". "There is nothing like Congress and JDS MLAs quitting and joining the BJP. They are only trying to spread rumours and befool the public. I have talked to the chief minister, the deputy chief minister and other leaders of both parties and the The BJP is only creating illusion by spreading falsehood," he said, adding that the rival party was exerting pressure by misusing government agencies. Kharge alleged that MLAs were being "scared and hounded by using government agencies like the CBI, ED, Income Tax". "The BJP is in the habit of doing such activities of destabilising government and poaching of MLAs. They have done so in Goa, Manipur, Uttarakhand, Arunachal Pradesh earlier and are now seeking to attempt so in Karnataka too. The BJP believes in horse trading and luring MLAs of other parties and then forming governments," he said. The coalition government in Karnataka suffered the first major setback when two MLAs, an independent and a member of the Karnataka Pragnyavantara Janata Paksha, Tuesday withdrew support to it amid charges of horse trading levelled against each other by the ruling parties and the BJP. Kharge said that the two MLAs had gone away as they were unhappy after one of them was removed as a minister in the reshuffle in Karnataka ministry. Congress General Secretary in-charge of Karnataka KC Venugopal, who has been camping in the city since Monday night and holding a series of meetings with party leaders, said that all the Congress MLA's are "fine and intact." He termed the media reports about a few party MLAs planning to resign as "baseless". Karnataka Deputy Chief Minister G Parameshwara alleged that the BJP has a bigger plan behind its moves "to topple" the coalition government in the state as it wants to show that any grand alliance against it at the centre will meet the same fate. Kharge said there is no truth that the government is falling in Karnataka. "If they were so strong, why were they keeping and protecting their MLAs in a seven-star resort . Why are you protecting your own MLAs if you have confidence," he said. On reports of some Congress legislators going ""missing", Kharge said it was not so as one had gone to attend a wedding and another to Shirdi and they have since returned. About the BJP's charge of its legislators being poached by the Congress, Kharge said, "We are not calling anyone. But, if someone comes, we cannot shut our door to them. What is the fear the BJP is having." Venugopal said, "Nothing is going to happen. All the Congress MLAs are intact, we are in touch with all of them." Asked about MLAs camping in Mumbai, he asked, "Are you sure that they are in Mumbai only? That was day-before yesterday, just verify now." Venugopal asserted that the coalition government "will continue for next four-and-half years". "We have nothing to worry, we have contact with every MLA, all will be okay. We are also calling CLP meeting on January 18," he said. Pradesh Congress chief Dinesh Gundu Rao said there is not going to be any "Sankranthi-kranti, or Deepawali-damakha or New Year-blast" as claimed by the BJP. "It will be flop show by the BJP... our government is stable, there is not even an inch of threat to the government and we are relaxed," he said. The Karnataka government is in a state of flux for the last few days with reports that legislators were being poached. The BJP legislators are in a Gurgaon resort for the past few days, with BJP leader B S Yeddyurappa alleging that the Congress is making attempts to poach its MLAs. In the 224-member Assembly, BJP has 104 members, Congress-79 and JDS 37. There is one MLA each of BSP and KPJP and one Independent, besides the Speaker.